Home | Peak Gymnastics | No Gimmicks. Just Knowledge. 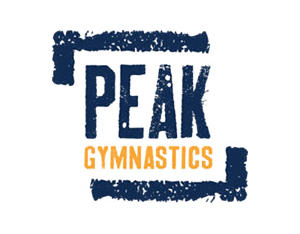 Peak gymnastics provides the highest level of gymnastics based education and service to all athletes who seek it. We don’t believe in gimmicks, we just know that our knowledge is second to none, acquired over a lifetime in the sport. 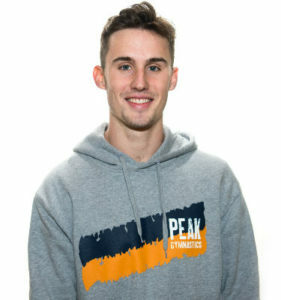 Peak Gymnastics was established by Martin Kurz, a former Senior International Level gymnast. Martin retired from the sport due to injury and increasing commitments after 18 years of competitive gymnastics in February 2013 after representing Victoria at the Australian Championships 8 times and was a member of the first Victorian team to win the Australian Championships in 2009. In addition to Martin’s gymnastics experience, his CrossFit experience has seen him develop over 7 years into one of the senior coaches at the highly regarded “Schwartz’s CrossFit Melbourne”, winners of the CrossFit Pacific Regional Games in 2012, 2013 and 2015 and Runners Up in 2016 and 2018. Additional to team achievements Martin has coached Individual World CrossFit Games Competitors including Denae Brown, Amy Dracup and Mitchell Sinnamon. Martin is now a full time Coach and practicing Clinical Exercise Physiologist at CrossFit Melbourne specialising in Musculoskeletal Rehabilitation. This crossover of superior gymnastics and CrossFit knowledge has led Martin to guest present on the CrossFit Gymnastics Certification in Australia and China further confirming his CrossFit Gymnastics knowledge is second to none. In addition to his experiences, Martin possesses not only a Bachelor Degree in Sport Science, but Honours in this area through research with the St. Kilda Football Club and a Master’s of Clinical Exercise Physiology (Exercise Sport Science Australia Accredited). 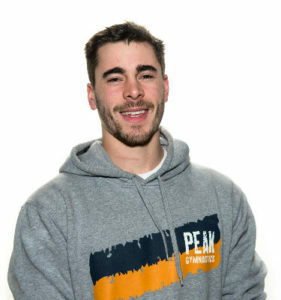 Outside of Martin’s ever growing passion for gymnastics, strength and conditioning and rehabilitation he is an avid guitarist and singer, loves snowboarding and getting involved in any outdoor activity! To book in with Marty head to www.peaksportscience.com.au to make a time! Philip Stewart is a current Senior International gymnast with coaching accreditations in both Gymnastics and Trampolining. Having returned to the sport in 2014 after a serious neck injury in 2013, Phil has managed to not only make a comeback but has performed competitively at each Australian Championships since and is eyeing an opportunity to compete at the Commonwealth Games on the Gold Coast in 2018. During his time injured Phil coached at the Victorian High Performance Centre (formerly the Victorian Institute of Gymnastics) leading the level 9 & 10 men’s team to a win in their division at the Australian Championships. In addition to his training Phil works as a coach at BOUNCEInc. Glen Iris, having quite literally built the business with his bare hands before it first began. Coaching and training at the highest level has granted Phil a unique insight into both perspectives within the gym and allows him to impart his exceptional knowledge onto his Peak Gymnastics athletes. In the limited time Phil spends out of the gym he tries to attend many music festivals, and get to the snow or beach as often as possible! Alex is a current Senior International level gymnast as well as a Gymnastics Australia accredited coach. Despite having double ulnar shortening wrist surgery in 2014, Alex has managed to return to competitive gymnastics at the highest level, becoming a stalwart of the Australia Women’s Artistic Gymnastics team. Her recent achievements include competing at the 2018 Commonwealth Games on the Gold Coast, winning a Gold medal on Floor and a Bronze medal for the team event. Alex’s drive to succeed isn’t limited to the gym, currently completing a Bachelor degree in Biomedical Science at Deakin University. Having both trained and coached gymnastics at an elite level Alex brings a wealth of knowledge about the sport to Peak Gymnastics. Our boy Jack Rickards seems to be the modest, quiet achiever of the group! 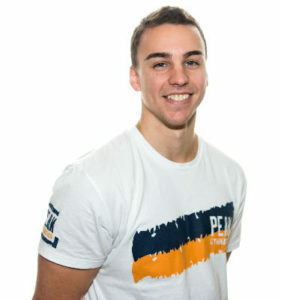 Having represented Australia at numerous international competitions including the 2014 Commonwealth Games in Glasgow (Scotland), Youth Olympic Festival and Pacific Rim Championships (in which he won a Bronze medal on Pommel Horse), similar to Zac, Jack crammed a lot into his 15 year elite gymnastics career. As a Junior International athlete Jack won the All Around Title at the Australian Championships a massive 4 times and was granted Australian Institute of Sport and NSWIS Scholarships in the process. Jack has always held a strong belief that Gymnastics is one of the most effective forms of training due to its ability to improve overall fitness, strength, skill and mobility all within one training modality. After a lifetime involvement in the sport Jack is very excited to now have the opportunity to share his experience and integrated approaches to skill development with his Personal Training clients and Adult Gymnastics Class participants alike! Lars Planke is a former Senior International level gymnast from Norway with 14 years of competitive gymnastics experience, having been a member of the Norwegian National Team for 7 of those years. Lars represented Norway internationally at countless Junior and Senior competitions, before retiring in 2014. Highlights from his career include representing Norway at the 2013 World Championships (where he placed 47th overall), and representing Norway at the 2013 European Championships as well as being a member of the Norwegian Team that won Bronze and Silver medals respectively in the Team Competition at the 2010 and 2012 North European Championships. Additionally, Lars has won five gold medals at the Norwegian National Championships. Apart from his career as an athlete, Lars has coached tomorrows hopeful junior athletes at Norway’s highest performing Gymnastics Club and is an accredited gymnastics judge. Other than gymnastics, Lars has completed a Bachelor Degree with Honours in Electrical Engineering in Melbourne. In his downtime he likes to snowboard, surf, cross-country ski, ice skate, play soccer and is always up for a good time. Steve was an elite gymnast for 15 years, competing as a senior international gymnast while training at the Victorian Men’s High Performance Center. During this period he represented Victoria at at the Australian Championships both as a gymnast and a coach alongside many of the other Peak Gymnastics staff. 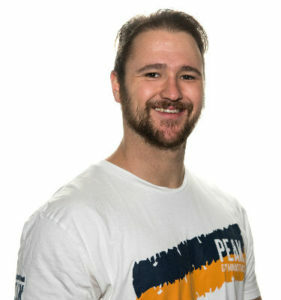 Some of Steve’s career highlights included a National Championships All Around Title, being recognized as Australia’s Level’s Gymnast of the Year in 2005, and Finishing 1st on Vault in 2011 at the Victorian Championships and 3rd at the Australian Championships at Senior International Level. After retiring as an athlete from the sport he loves, Steve has continued to further his knowledge and as such has become an Advanced Level Men’s Gymnastics Accredited Coach. Steve now works at several respected Gymnastics and Dance facilities around Melbourne including Jason Coleman’s Ministry of Dance, Trilogy Dance Company, Dance Revolution as well as developing and delivering various seminars with talented partner Samantha Vella. Bringing a wealth of knowledge straddling Gymnastics, Dance and Acrobatics Steve brings a unique skill set to the Peak team which can benefit athletes of many GymSports. 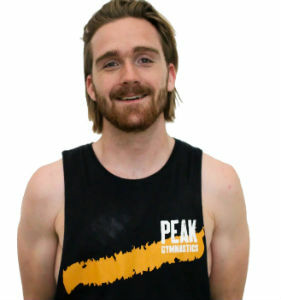 With over a decade of coaching experience and two decades of training in the sport Steve has a wealth of gymnastics knowledge to share with his Peak Gymnastics’ Personal Training Clients and Adult Gymnastics Class participants! Emily is a graduate of the prestigious National Institute of Circus Arts (NICA, 2013). With a Bachelor of Circus arts she is now one of the few professional performing contortionists in the country. Her career highlights include performing Aerial Hoop as part of Le Grand Cirque in Sydney’s Opera House at the age of 17, Aerial Silks as part of Circa, 25e Festival du Cirque Actuel in Auch, France in 2012, and as the Lead Performer Miss Houdini in Kevin and Caruso’sMiss Houdini: Magic and Illusion Las Vegas Spectacle Show in 2015. From 2016 she has shifted her focus more to fitness and strength training, competing in fitness/bikini modelling in INBA (now ICN) and NABBA/WFF (world fitness federation) federations. In her 12 WFF state, national and international level competitions she has finished on the podium at each show! In 2017 she placed 1st at the Kahma Classic Pro/Am and gained her Professional division license (Pro Card) with WFF, and is now the current Miss Australia and Miss Universe (2018) for her aerobics and glamour categories. She continues to compete internationally and work closely with NABBA/WFF as a modelling judge. Alongside her performance work she is a qualified personal trainer (AIF 2014), Gymnastics Coach and specialist coach of mobility, flexibility, athletic strength and conditioning, nutrition and various circus disciplines (contortion, aerials and acrobatics). Mobility Improvement, Personal Training, Circus Arts (including Contortion, Aerials and Acrobatics), Dance, Body Sculpting. 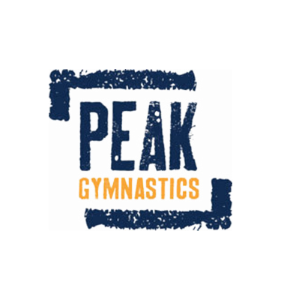 Learn more about us and what we do at Peak Gymnastics! Fill out the form and our team will be in touch with you shortly! Thank you for your interest in becoming a Peak athlete! 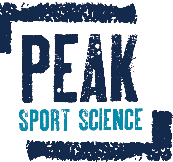 To book with Coach Marty head to PEAK SPORT SCIENCE to make a time!